When I heard Marvel was restarting its Original Graphic Novel line, I was actually really excited. The original Marvel Graphic Novel line had some of the best stories of the Bronze Age, including: The Death of Captain Marvel; X-Men: God Loves, Man Kills; and The New Mutants. For the first book in the new OGN line, they announced they'd have Warren Ellis on the writing duties, which is a pretty good choice, given that his Extremis storyline had just provided the framework for the third Iron Man movie. And, hey, the first book is an Avengers book; I'm kind of Avengers SuperFan #1, so if anyone should be on board, it's me. In reality, eh. Not so much. The word that keeps coming to mind is "awkward." Some spoilers below the cut. One of the clear driving forces behind the relaunch of the line is to bring new viewers that are fans of the films into the comic book reading fold. That's a great idea; new readers often tend to buy (or have their friends loan them) trades instead of getting singles. 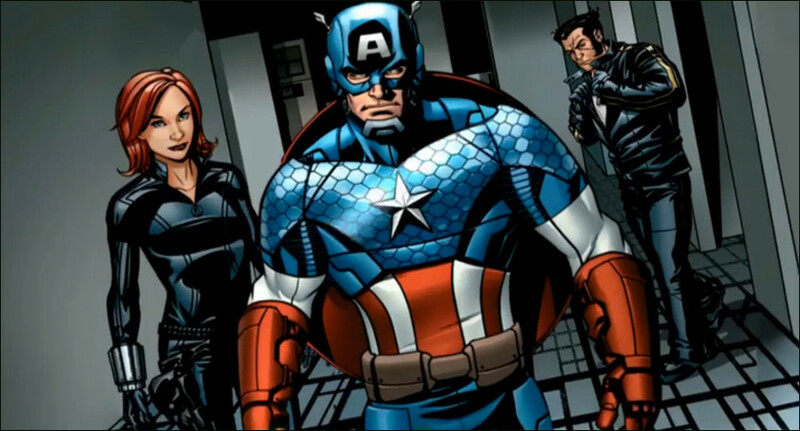 A brand new book in the movie continuity would be a great way to capitalize on the movies' popularity, while also introducing some new characters (Wolverine, Captain Marvel) and concepts to new fans of the Avengers. But then the book tries to have its cake and eat it, too. "We need to write something that's accessible to new readers. We need to use the movie versions of the characters." "I kinda get where you're coming from, but we can't be sure this will sell to new readers. It's kind of an expensive proposition at $25 for a brand new reader." "Right, right, we need buy-in from the fanbase. Why don't we set it in the regular comics universe?" "That's... not really a solution, but alright, we can go with that. What should the story be about? Warren?" "Let's make it about drone attacks! With space alien Norse god monsters! And evil government conspiracies designed to make the reader distrust their government!" "Uh. Okay. That... I'm sure that's the kind of things that people who went to see a PG-13 action movie will want to read about." It's not all bad, of course. Warren Ellis still writes some of the most entertaining dialog in the business, and he's in good form for that here. The art is serviceable, and there's an absolutely brilliant sequence early on involving Captain America boarding a plane from another plane that really needs to make it into a movie somewhere. 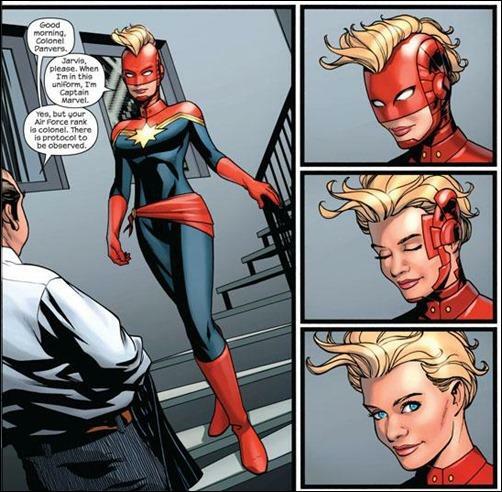 It's good that Captain Marvel is given such prominence throughout the book. But I'm honestly having trouble coming up with much more to say about it that's good. It would probably be okay as an intro to new readers? But there's a stack of better books for that, and it's hard to make an argument that Endless Wartime gets even in the top 20 of "good Avengers stories for new readers." When I got done reading Avengers: Endless Wartime, I went to put it on my shelf, but I found that they had printed it in a different format than the trades. It's a little taller and a little wider, and it just doesn't fit on the shelves with my other trades. It also doesn't really fit, physically, with my novels, and while it's about the same size as my reference and game books, the content doesn't belong there. This, as much as anything, is about the best metaphor I can find for the book: it doesn't really fit anywhere. Also, it scratched my table. Just saying.